It’s a moment we’ve all experienced when packing for a trip. You stare at items laid out on the bed and ask yourself, “Do I really need that? Or can I get by without it?” If you’re worried that you’ll be miles away from home and inconvenienced by the absence of an essential item, know that you don’t need to bring nearly as many items with you when you travel as you may think. Plan to take your next trip unburdened by extra baggage. Here are seven items you don’t need to pack when you travel. Picking up toiletries once you’ve reached your destination can be convenient and affordable. Especially if you’ve traveled to a city with shops on every corner, you can stock up on items like shampoo, soap, and toothpaste. Your hotel may even stock complementary items in your room. As an added bonus, you won’t need to spend time removing your liquid items at airport security, which means less stress and hassle if you’re rushing to make your flight. Shoes are one of the most frequently over-packed travel items. Whether you’re a fashionable business traveler, or a mom hoping to anticipate her child’s every need, plan to only pack two pairs of shoes per person (including the pair worn while traveling). Bring only your most comfortable pair of walking-around shoes, such as sneakers or boots, and an extra pair of something lighter, such as ballet flats or sandals. Don’t be tempted to stuff your suitcase full of clothes. It’s perfectly acceptable for you (and your kids) to repeat an outfit on your vacation. Let us repeat: Go ahead and wash and dry your shirts and pants in the hotel laundry room midway through your trip. You can even wash socks and underwear in the hotel sink so they can be reused as well. Which leads us to the next item on our list. We’re all about washing and repurposing your outfits, but leave the detergent at home. If you utilize a local wash-and-fold service you won’t need to provide your own detergent. If you plan to hand wash items, pick-up a single use packet at the same convenience store where you purchased those toiletries we mentioned earlier. A vacation should be about unplugging from your daily responsibilities and distractions and experiencing something new. Your Twitter stream, email, and game of Candy Crush can all wait until you get home. Save luggage space by only bringing one electronic device on your trip. Your smart phone is likely the most versatile and functional, so leave your laptop, tablet, MP3 player, wireless over-the-ear headphones, and e-reader at home. If you’re traveling for work, confirm with your employer what will be expected of you while you travel, and if access to email on a mobile device is all you need. You may enjoy having access to makeup options at home, but if you must travel with cosmetics, commit to bringing only a basic set. For items like eyeshadow and lip gloss, bring one of each only. More options just mean more weight and less room in your carryon. If you’re traveling with little ones, don’t waste luggage space on pool or beach toys like inflatables, snorkels, or sand shovels. Your hotel may have sporting equipment or toys available for rent, or you can pick-up an inexpensive pair at a nearby convenience store. Don’t have access to a car? Plan ahead to have a few inexpensive items mailed to your hotel or beach house. If you’re an Amazon Prime member, you can benefit from free two-day shipping on inexpensive items that you won’t mind leaving behind for the next set of guests. Whether you’re traveling for work or for pleasure, minimize the strain, cost, and stress of bulky suitcases and bulging carry-ons. Plan to take your next trip without the seven items on our do-not-pack list. Once you realize you fully enjoyed your trip without missing a thing, you’ll be packing lighter, and traveling happier. 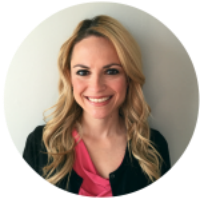 Jessica Marabella is a writer and communications specialist with over 10 years of experience in content marketing. Originally from Upstate New York, Jessica is an avid traveler working to reach her goal of seeing all 50 states and seven continents.